The International Trumpet Guild announces Gilbert Johnson is to receive the Honorary Award, and David Baldwin, Dr. Kevin Eisensmith, and Dr. Gary Mortensen will receive the ITG Award of Merit. The Board of Directors of the International Trumpet Guild voted to award its highest award, the Honorary Award, to Gilbert Johnson. Artist, teacher, and mentor Gilbert Johnson (1927-2002), was the solo trumpet of the Philadelphia Orchestra under Eugene Ormandy from 1958-1975. His Philadelphia career included being a two-time Grammy Award winner while performing on over 40 recordings as soloist; 800 recordings as principal trumpet; and 32 national/international tours. Johnson also performed with the Boston Pops and Asbury Park Municipal Band; was named principal trumpet of the Buffalo Philharmonic in 1950 before enlisting in the U.S. Navy for the Korean War; principal trumpet of the New Orleans Philharmonic (1952-1958); and solo trumpet of the Florida Philharmonic. His pedagogical career spanned over 37 years at the Curtis Institute of Music and Temple University (1965-1975), and Professor of Trumpet at the University of Miami (1975-2002). Johnson received a Bachelor's degree from the Hartt School of Music with advanced studies at the Curtis Institute of Music in Philadelphia, while studying trumpet with Sigmund Hering and Samuel Krauss. Johnson’s contributions to music are vast through his performance and teaching legacy. His former students hold positions in numerous major orchestras, in international brass groups, on faculties at leading universities, and as composers. His recordings of solo literature and symphonic repertoire are legendary for their high level of musicianship, tone quality, and style while maintaining the trumpet's position as a member of the orchestra and as a solo instrument. Significant solo recordings include Handel's Messiah with the Philadelphia Orchestra/Mormon Tabernacle Choir, Haydn's Concerto for Trumpet, Riisager's Concertino, both with the Philadelphia Orchestra, and Hindemith's Sonata for Trumpet with Glenn Gould. David Baldwin is Professor of Trumpet at the University of Minnesota School of Music in Minneapolis. He has more than 100 arrangements and compositions published by G. Schirmer, Shawnee Press, Theodore Presser and others. Baldwin also serves as leader of the Summit Hill Brass Quintet, a group with ten CDs to their credit including Music for Al’s Breakfast, four original Baldwin compositions, and American as Apple Pie, a lively collection of all-American music. Dr. Baldwin received a bachelor of music degree from Baldwin-Wallace College and M.M., M.M.A., and D.M.A. degrees from Yale University. From 1969-71 Baldwin was a member of the United States Military Academy Band at West Point, New York. He is also founding secretary and a past member of the board of directors of the International Trumpet Guild. Dr. Baldwin’s teachers include Robert Nagel, Raymond Crisara, William Vacchiano, Bernard Adelstein, Charles Gorham, and Eric Duro. In Minnesota, he has performed with The Saint Paul Chamber Orchestra, the Minnesota Orchestra, and the Bach Chamber Players of St. Paul. His recording of Charlier’s 36 Transcendental Etudes has become a landmark recording, studied and enjoyed by trumpeters throughout the world. Dr. Baldwin lives in St. Paul with his wife, Dr. Christine Baldwin, a clinical psychologist. He is an active calligrapher and has had many sponsored shows of his artwork. Kevin Eisensmith is Professor of Trumpet at Indiana University of Pennsylvania, and has taught at the collegiate level for the past 24 years. As a free-lance artist Eisensmith has worked with Carol Channing (Hello Dolly! ), Richard Harris (Camelot), Bernadette Peters, Doc Severinsen, Marvin Hamlisch, the Moody Blues, Peter Nero and many others. He has performed as principal trumpeter with numerous regional orchestras in the Atlanta, Pittsburgh, and Philadelphia areas. A member of the International Trumpet Guild since 1977, Eisensmith has served on various committees, coordinated the “Festival of Trumpets” concert twice (1998 & 2000), served on the Board of Directors (2001-2003), and as Secretary (2003-2007), Vice President (2007-2009) and President (2009-2011). From 1991 to 2005 he served as compiler and editor for the "Trumpet and Brass Programs" supplement for the ITG Journal. He gives clinics and performances annually throughout the eastern United States, and has presented in Australia, Russia, Japan, China, Costa Rica, Italy and the United Kingdom. His students have established themselves as successful educators and performers. Gary Mortenson is Director of the School of Music, Theatre and Dance at Kansas State University, where he also teaches trumpet and coordinates the activities of the KSU Trumpet Ensemble. He received his education at Augustana College (BME), Ithaca College (MM), and The University of Texas (DMA). His trumpet teachers included Raymond Crisara, James Ode, Herbert Mueller, and Renold Schilke. Before joining the K-State music faculty in 1989, he taught for five years at The University of Louisiana-Lafayette. Dr. Mortenson served as Publications Editor and on the ITG Board of Directors for twelve years (2001-2013). 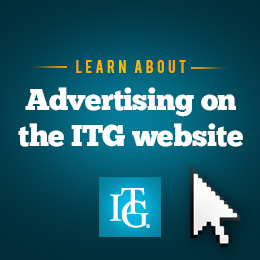 During his tenure as editor, Mortenson represented ITG at major international music competitions and conferences in Australia, Canada, China, Finland, France, Germany, Greece, Thailand, the United Kingdom, and the United States. Mortenson’s research on trumpet and brass pedagogy-related topics has been published in the Instrumentalist, Jazz Educator’s Journal, Music Educator’s Journal, Medical Problems of Performing Artists, and the International Trumpet Guild Journal.